Are you planning your next conference? With information on everything under the sun quite literally available at the click of a button or the swipe of a finger, it’s getting more and more difficult to keep attendees engaged at conferences. How exactly do you successfully educate attendees while keeping them engaged and stimulated at the same time? Through transformation. The process of conference planning needs to transform into the modern era. Planners now need to look at new, revolutionary methods of engaging with audiences throughout an event because user absorption levels aren’t what they used to be – given the technology available in the information age. In this article, we are going to advise you, the conference organiser how best to make your next event engaging and educational to those who attend it. Up until recently, the focus of conference planning has been on the delivery of content. It has been about the information. As important as this is, and as much as it should still be about this, it’s crucial that you explore alternative learning models or micro experiences where attendees are stimulated while learning. Conference planners need to convey information in experimental ways and should do away with traditional talking sessions and exhibits. Brent Turner, SVP, Solutions at Cramer says: “People are taking inspiration from and being influenced by the more general trend around consumer activations which are experiences within an experience.” How does a conference planner achieve this? Through the use of self-guiding activities where attendees need to apply their problem-solving skills and collaborate in order to acquire information. Incorporate prizes and giveaways. Turn it into an interactive experience as opposed to a set of consecutive sessions. Think outside the box and try to relate it all to your association – get creative. Develop the above methods through LX Design. By merging several areas of design such as instructional design, user experience design, user interface and visual design with modern technology, conference planning reaches new heights. With LX you’re able to design impactful learning experiences that will have a lasting, positive impact on your attendees. Why not use technology to assist you with your conference’s objective? Adapt to your audience through the use of learner experience platforms that appeal to their preferences. It could be of a visual, auditory or sensory nature. This is the era of the user after all. To gain a deeper understanding of LX Design, read this overview. There are a host of events that are taking their sessions to a whole new level by making them more interactive for attendees. As stated above, people don’t necessarily want to sit and listen to a string of consecutive talks anymore. For example, EMEC holds something called “The Campfire Sessions” where attendees get the opportunity to learn from one another through sharing their own personal experiences. Held in a very laid-back environment, it creates a campfire-style storytelling atmosphere where the host introduces topics or issues and everyone in the session offers their ideas and solutions one by one. It’s a collaborative and innovative way of learning that younger generations respond incredibly positively to. Another event called Marketing festival hosts these sessions that are based on case studies. It’s an hour session with 6 different speakers. Talks are short and to the point, based on real-life examples by credible people. Each speaker has 5-10 minutes to convey their case study or example, so it’s a learning experience without the lengthy introductions. In addition to hosting an interactive, experiential conference, we recommend facilitating offsite events. Instead of having your attendees recede to their hotels after the day’s activities and sessions, why not offer post-event entertainment? This way you can maintain their engagement after hours. You can achieve this by facilitating a site-seeing tour of the city your event is being held in. In addition, you could even take your attendees to a show. This way, you won’t just be remembered for the learning experience, but for something beyond that. Furthermore, it’s also a great atmosphere to network in. If you’re trying to attract new members to your association, it’s imperative that you adapt your entire conference to the needs of the millennials. The way they consume information and take in experiences. They have come of age (22-37-year old’s in 2019). They are arguably the most influential generation in the business right now. Congrex Switzerland is an internationally operating agency delivering customised solutions. This encompasses the overall organisation of conferences and meetings including the management of hotel rooms and the strategic consultancy. 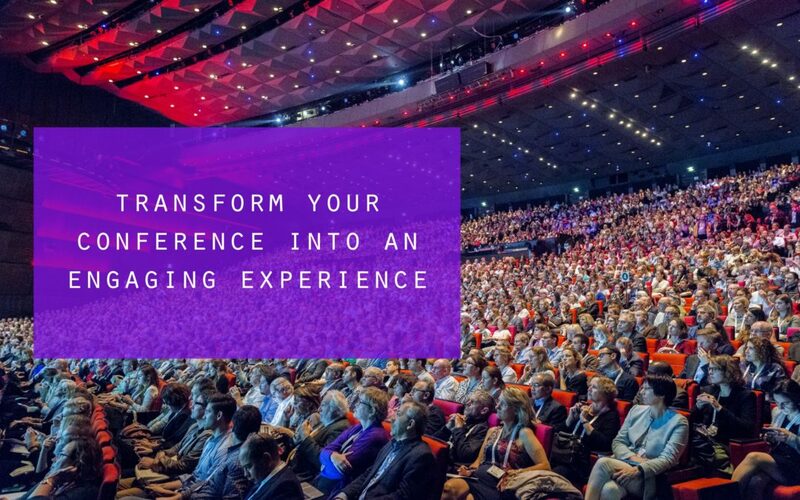 Annually Congrex Switzerland organises approximately 45 events with over 73’000 delegates. Amongst our clients are international associations, governmental organisations and corporations. If you wish to receive additional information about Congrex Switzerland, please feel free to contact us.